BRYAN EATON/Staff photo. 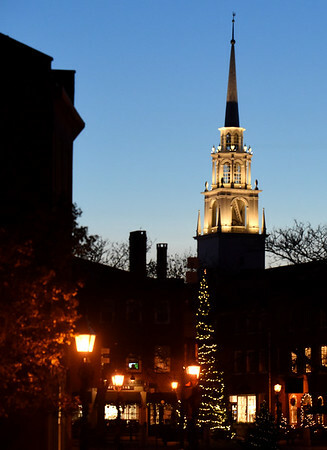 The steeple of the Unitarian Church looms over the Christmas tree in Newburyport's Market Square as the temperature drops late Monday afternoon. There's a slight warming for today and tomorrow, though with rain in the forecast as well.